Writing catchy headlines and titles is important in creating irresistible blog content. You need to welcome your readers through attention grabbing headlines that will make a great impression and eventually increase your click through rate. Writing them may sound simple, but it’s never an easy job. But hey I got you covered…read on! A headline is a text implying the nature of the written material under it. It is way beyond just a simple text. If you want to increase CTR and gain a wider audience, write catchy headlines for your website’s feature story or video. Captivating headings, as well as catchy newsletter titles, can spark a potential reader’s curiosity. A person will be very eager to know what is written under that attention grabbing headline so in a few seconds, you’re sure to get a click! Having your readers consume the entirety of your content requires a lot of work though. According to a research done by HubSpot, 43% of blog readers just skim through posts. If you want them to digest 100% of what you’ve produced, apart from writing catchy headlines, you also need to create the most relevant and engaging content possible. However, if your goal is just to increase click through rate and drive traffic to a specific landing page, the only thing you should focus on are catchy headlines. 80% of people read headlines, so you need to make sure that yours are appealing enough to get clicks. Ever wondered what you should do to increase your reading rate? Do you want to further improve your click through rate? How to increase CTR? Do you want to learn how to write better headlines? Get clicks and traffic by following these effective copyreading and headline writing tips. Putting numbers in your catchy headlines is a great way to increase CTR. Once they see numbers, they know what to expect. They can even estimate how long it would take them to read the entire story. A list of 10 free blogging tools? A list of 5 successful online personalities you can learn from? Reading these surely wouldn’t take much of their time. When reading a list, it’s easier to jump from one point to another. Since most listicles are made up of short sentences and bullet points, they just need to scan through it to get the gist. No need to read everything word by word. Use numbers in your catchy headlines whenever you can. But have you ever wondered which numbers are best to use? A 2017 Facebook engagement data research shows that the top 10 best performing numbers are 10, 5, 15, 7, 20, 6, 8, 12, 9 and 3. As you can see, none of these top numbers include digits higher than 20. This is because readers prefer shorter and more informative lists that wouldn’t take too much time to read. Anything beyond 20 can be less appealing and most likely will fail to increase CTR. 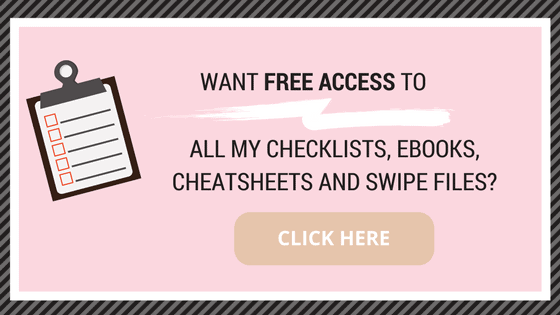 Get access to “Secret Headline Writing Hacks” by joining our Free Resource Library, just CLICK BELOW! A one-sentence attention grabbing headline can put you in a good spot to get clicks. It doesn’t need to be too long or too short—as long as it has enough information to grab a reader’s attention. According to research, catchy headlines between 16 to 18 words produce the most engagement. Now, it’s time to look through your current headlines. If it has less than 10 words, then maybe it’s too short to get a satisfactory number of clicks. If it has around 30 words, then it’s still not optimized enough to reach high engagement and increase CTR. Aside from the word count, also take into consideration the number of characters. Catchy headlines with the highest click through rates have 90 to 99 characters. If you want your reader’s attention, write something relevant and intriguing. Learn how to write catchy headlines that can shock and surprise potential readers. Such posts can be labelled as click-bait, but that’s okay as long as your content won’t let them down. Don’t ever make them feel disappointed. When writing titles, you can mention specific brands and topics that are common favorites of many people. Let’s say you are a car enthusiast and would love to share your knowledge on automotive supplies. You may want to mention famous brands like Ferrari. Ever given a chance to test drive a Ferrari? How was your experience? If you have the money, would you buy one, or would you prefer another sports car brand? Ferrari is a popular luxury sports car brand recognized internationally. Not only are these cars expensive, they are certified head turners on the road. A Ferrari is definitely a dream car for many people. 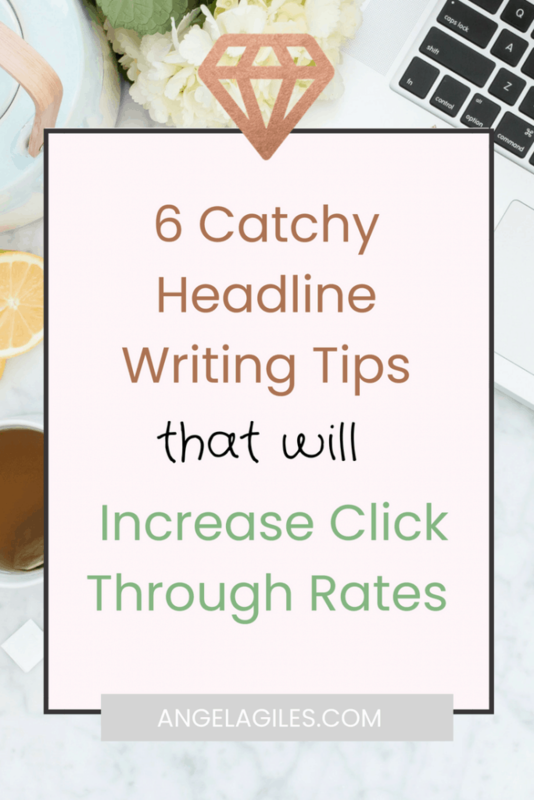 Whenever you’re composing catchy newsletter titles or headlines, you would surely want to include that brand name to increase your click through rate. Setting benchmark headlines is another effective headline writing strategy. People usually ask help from the internet when they need detailed instructions to be able to accomplish something. Help them set a particular goal. Show them that they can achieve something by clicking on your post. Focus on your target audience. As you can see, this strategy combines the benchmark method with the previous tactic of utilizing a shock factor. Not all people can lose 30 pounds in a matter of days and not all girls can put together a fashionable outfit by just spending $50. Realistic, attainable and catchy headlines can help you increase your CTR in a matter of months. All catchy headlines need to be relevant. Are there any topics and issues relevant today that you’d like to write about? Timing is crucial, so post something new and interesting from time to time. Just remember that all details should be appropriate and aligned to your brand and voice. If your business is in the music industry, your headlines should always be about popular musicians and current trends in music. If your web magazine brand focuses on pop culture, beauty advice and fashion trends, you can discuss the different fashion trends and make a list of fashion designers millennials look up to today. Timing should always be on point when dealing with the current trends in certain industries such as music and fashion. Readers would always check when it was written or published to make sure that they are getting the right information. Thinking of more ways on how to increase your click through rate? Market your expertise. If you are an expert in a particular field, every update in your blog is a new opportunity to share new knowledge. 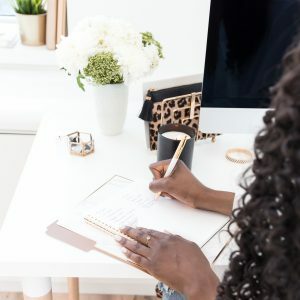 Making step-by-step guides and lists can help you get a lot of clicks, and a chance to impart informative content that can be beneficial to your readers’ personal endeavors. For your content to be seen, you need to write catchy headlines based on organic traffic. Use the best keywords and search terms for SEO purposes. Think about what your potential readers would google if they need something. Through optimization, you can secure your top position on the Google search results list. It will surely help you increase CTR. In fact, in 2017, the topmost position received 20.5% of all Google clicks. Those click through rates drop down to 13% for the second and third positions—still good but can be considered as a significant drop from the rate of the top spot. 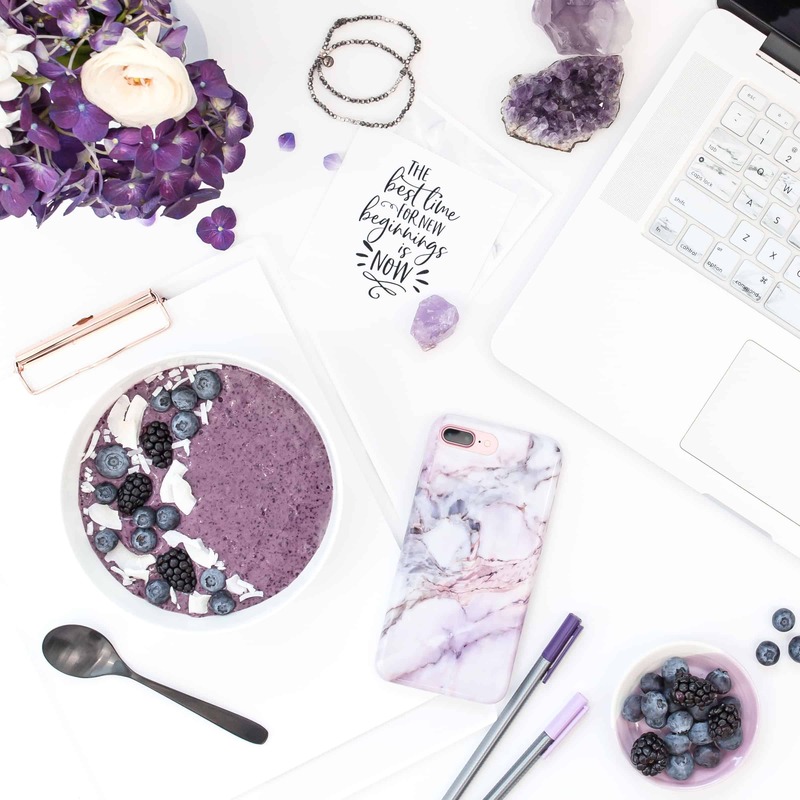 Whether you’re maintaining a personal blog, or you’re an entrepreneur managing a company website, you need to continuously find new ways to make people love your content. What should you do to increase your reading rate? 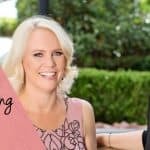 Are there any other headline writing tips you should follow? If you want to see a significant surge in your click through rates, learn how to make engaging headlines and implement an effective SEO strategy. There is science behind writing catchy newsletter titles and catchy headlines for organic traffic and clicks. Be sensible, relevant and appropriate at all times. There are a lot of copyreading and headline writing tips you can follow but keep in mind that everything starts with your determination to shock and wow your audience. 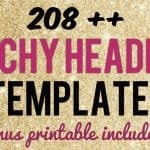 Pin this now and learn how to write catchy headlines! WHICH OF THESE TIPS DO YOU THINK IS MOST IMPORTANT? WHAT IS A FAVORITE TIP OF YOURS WE DID NOT INCLUDE? PLEASE SHARE IN THE COMMENTS BELOW. This was inspiring and helpful, thank you! I liked your content very much. It is indeed so informative. Please have a look at my blog and share your opinions about my headlines.